Synopsis : When the two girls meet, magic begins. Hazuki Kagimura loves stories, an orthodox girl who is overly imaginative. Because her relationship with her new family does not go well, the environment sends her toward the stories in which she spends her days. One day after school, Hazuki gets lost among the bookcases of the library, leading her to a mysterious school where meets Shizuka Tsuchimikado. It is a magic school where girls (called "mädchen") are selected by the magical texts from which the world's stories are born. Hazuki herself is said to be chosen by the book of Cinderella. 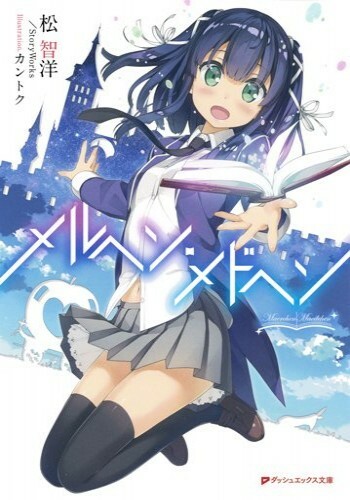 In order to become a true magician, Hazuki becomes friends with Shizuka and begins her new life at the school. @theredjet The series is complete at 4 volumes. Probably should've mentioned that in my original post, sorry.